Named after our sweet friend Adriana Xenidies who passed away earlier last year. 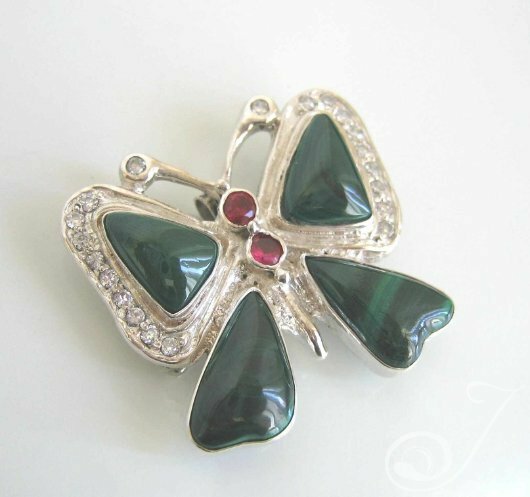 This Magnificent Malachite Butterfly Brooch and Pendant with channel set CZs and facetted watermelon Tourmalines in quality Sterling Silver 925 is a joy to behold. A Julleen collectors item. For the love of Adri.